1. One of the brightest retro sweets around is Taffy Bubblegum. These bright blue swirly delights are sure to catch your attention and taste oh so delicious and fruity. If you can resist these lip-smacking treats for long enough, why not display them in one of our traditional Glass Sweet Jars to create an eye-popping gift or table decoration and the perfect splash of colour-come edible masterpiece! 2. Mints are another traditional favourite. Here at Keep It Sweet some of our favourite mints and minty sweets include deliciously clear Fox’s Glacier Mints. Did you know - the Romans believed that eating mint would increase intelligence? And that it could prevent somebody from losing their temper? As much as we would love this to be true, we are not entirely sure it is scientifically correct! What we do know however, is that there is nobody who doesn’t love a mint! 3. 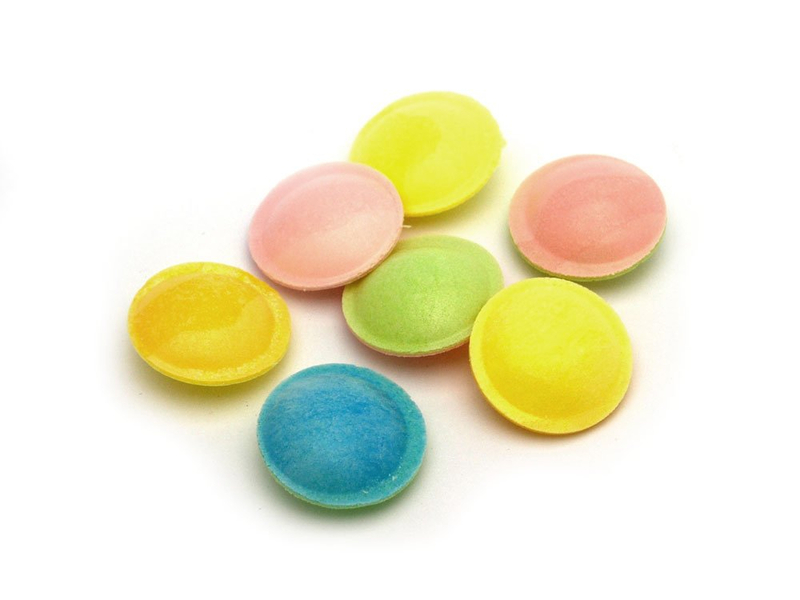 Another all time favourite is Flying Saucers. Both oh-so-delicious and brilliantly colourful, these sherbet filled delights are the tangiest, most explosively fruity sweets around and are a true all time classic. Be sure to order a lot of these as they’ll be gone in no time! 4. Melody Pops are another childhood classic and a must-have for our best retro sweets list! These fantastically delicious strawberry flavoured Lollies not only taste delicious, but also allow you to show off your musical talents! Get some friends or family together and have a great time with these super fun and affordable favourites that are great for both kids and adults. Why not take a look at our range of retro toys for more childhood memories? 5. Next on the list of retro sweet favourites are Giant Cola Bottles. In the past, these classic sweet treats were voted Britain’s favourite sweet and they are just as popular now as they ever have been. Giant Cola Bottles are one step up from the traditional smaller versions and are bursting with flavour, making them perfect for a summer BBQ or sneaky treat at work. Or why not take a look at our Giant Fizzy Cola Bottles for all the fun of a classic cola bottle but with an extra special tangy touch! 6. Another firm favourite that we used to spend our pocket money on are Drumstick Lollies. Enjoy getting your teeth stuck into these truly scrumptious classics (literally!) 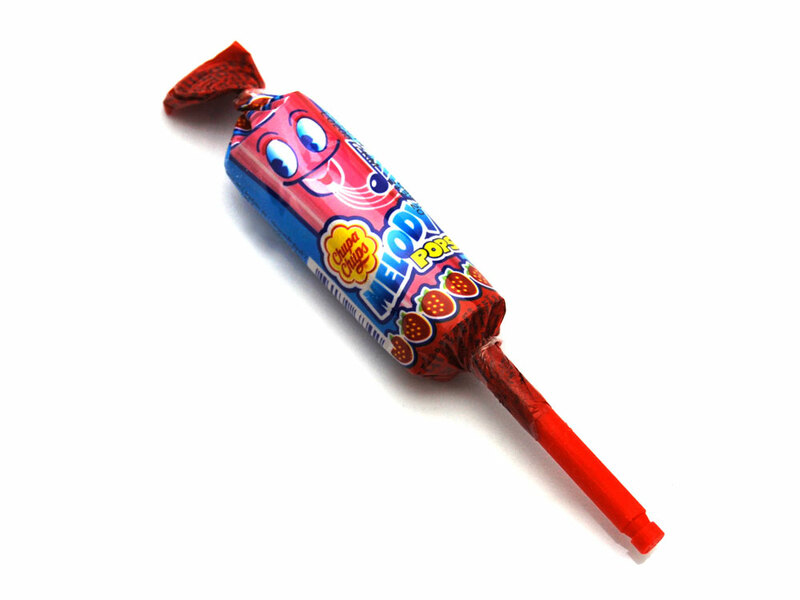 - trying to eat these fantastic milk and raspberry Lollies in any sort of civilised way is all part of the fun! And if you’re really a fan of these delicious fruity treats then why not try an equally chewy Drumstick Bar or even one of our Drumstick Lolly Bulk Bags containing a whopping 265 lollies! 7. Another quirky and unique retro sweet is Fizz Wiz. This original popping candy is straight from those pocket money days and is packed full of explosive fun. As well as original strawberry, here at Keep It Sweet we are also fans of the cola and cherry flavours for even more super loud sugary fun. 8. A childhood fizzy favourite is Sour Cherries. These tongue-tingling, mouth-watering and tastebud-frying delights are the ultimate sweet to make gran’s face squint and squirm! Deliciously fruity and with a mega sour punch, there is nothing not to love about these traditional sweet shop favourites. We will warn you though - these are near impossible not to eat all at once! 9. One of the most famous retro sweets of all time is Lovehearts. Originally used for Christmas cracker sweets, these iconic favourites taste out of this world and were even chosen as an icon of the 20th century! Tuck into a roll of these delicious treats or why not spread the love amongst your family and friends with rolls of Mini Lovehearts? We even stock Mini Loveheart Cubes and Pyramids that make the perfect sweet wedding favour and are a sure way to put a smile on your guests’ faces. 10. Available in a huge range of different shapes, colours and flavours, Boiled Sweets are some of the oldest retro sweets around and will simply never get old! Lemon Sherbets are one of the most iconic options and taste oh so tangy and tongue tingling! Why not take a fun twist on these traditional delights and try Blue Lemon Sherbets? They are exactly what they say on the tin and may even turn your tongue a very fun colour! 11. Another favourite treat of ours is Candy Cones. These ice-cream shaped delights are made from luxuriously smooth strawberry and cream flavoured candy and simply can’t be beaten! 12. Another popular gummy option that is particularly a favourite with children are Alphabet Gums. These mouth-watering jellies are perfect for spelling out fun messages and are a great way to keep the kids occupied.